This has been such an exciting season at YWAM Yosemite. Such a crazy, full, beautiful, exciting season. We’re in the midst of prepping for the biggest DTS we’ve ever had, and it’s included a three-week jaunt to Greece and back, belaying the base director up a tree, one brand-new staff member (Yay Pam!! ), several brief escapes into the backcountry, and about 215 gallons of coffee. It’s the best!There are times I just stand in the parking lot and think back to the first time I ever saw the property that would become our base. 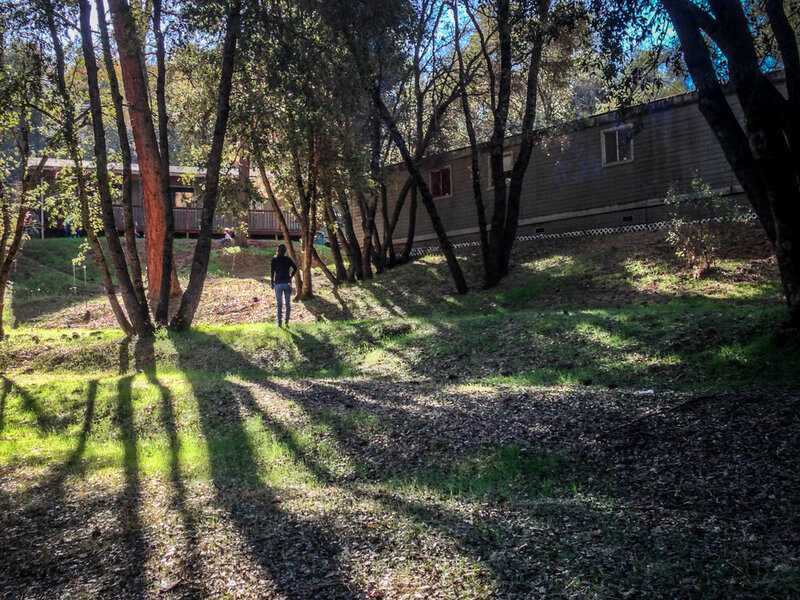 There were weeds up to my knees and a bare, sunbaked look to everything around me, but I remember the light in my friends’ eyes as we gestured to where we would someday build seven-story dorms and a great big dining hall to hold several hundred of our closest friends. The land and buildings didn’t even belong to us when we started dreaming those dreams. For that matter, I wasn’t planning on ever coming back to staff here! But here we are, two years later... and while the “dorms” are still an old cement house and the dining hall comfortably seats about 24, they’re ours all the same. I’m staffing my first-ever DTS, we’ve got a new tent-cabin coming together behind the offices, and there’s a team of people halfway around the world making Jesus known in the tents of a refugee camp. I never could have imagined this… and it’s just barely the beginning! This season has taught me, if nothing else, that God is able to do far more than we could ever ask. Someday I will stand in the parking lot of YWAM Yosemite as we break ground on buildings we haven’t even thought of yet. Someday I will stand in the entrance of those buildings to welcome in students who haven’t even yet met the Lord. Someday soon, dear friends will return from Greece and graduate their DTS, and go on to become pastors and teachers, missionaries and engineers and artists who love Jesus more than life itself. And it will be by no power of our own that any of this has come about. We serve the God of surprises, the God of abundant life and new beginnings and promises fulfilled, the King of Kings before whom every knee will bow and every tongue confess that He is Lord. We serve the One who knows each hair on our heads and who is redeeming all people back to Himself. He makes rivers spring up from the dry earth and provides tent-cabins just in the nick of time. Fall 2016, we're comin' for ya!